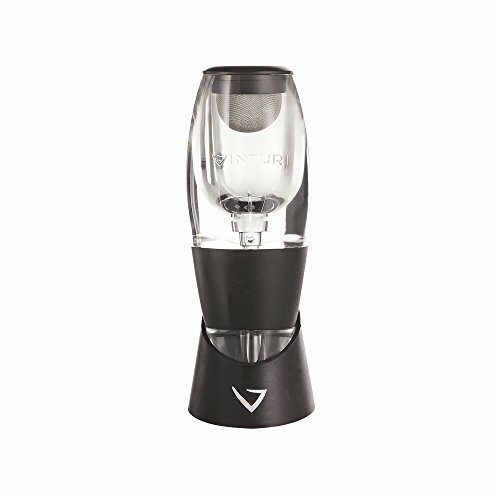 If you're someone who appreciates the nuances of a nice red wine from time to time, and if you can taste the difference between well crafted liquid alchemy and the cheap ten dollar swill they sell in grocery stores, you might be interested in a Vinturi Red Wine aerator set to improve the taste of even the most humble wines out there. This article is intended to serve as a Vinturi Red Wine Aerator review, and we'll talk about what exactly the Vinturi Red Wine Aerator is and how it works. We'll mention the advantages of a device like this, and why you might want to spring for one yourself. Aeration is a great thing for a wine, and this device does the job admirable well. Plus it's fun to show off to your friends! Continue reading to learn all about the Vinturi Red Wine Aerator and what it can do for your next party. So what exactly is aeration and why should we be concerned with it? If you don't taste the difference from one wine to the next, I suggest you don't worry about it, because aeration is all about bouquet and taste. Aeration is a process in which air molecules, specifically oxygen, are transferred into a recently uncorked wine. The bonding of oxygen molecules to the wine enhances the aroma and the taste. Since oxygen infusion is essentially the same thing as what happens in the aging process, the right amount of aeration in a red can create a wonderful effect. The wine can taste as though it's been aged for far longer, and the aroma can be greatly enhanced. All this from the air we breathe! 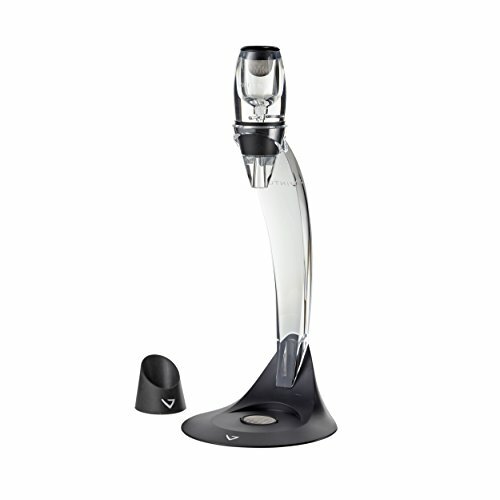 There are a lot of ways to aerate red wines, but the Vinturi Red Wine Aerator is one of the best of the bunch for a few reasons. First off, you need to be careful not to over-aerate a wine, or it will taste as though it's been over aged. This means that it will either taste too old or some of the flavor and bouquet can actually be lost. Too much oxygen isn't a good thing. Traditional aeration practices are fairly hit or miss, but the Vinturi aerator makes sure things are nice and accurate. The Vinturi Red Wine Aerator is essentially a funnel that you place between the bottle and the glass (or the decanter) as you pour. The device very slightly aggravates and churns the wine as it passes through. Air is allowed to pass into the wine through small air ducts and by the churning motion of the pour. It is impossible to mess up, and the device does all the work for you. You might see this as another gimmick, but the fact is the Vinturi Red Wine Aerator makes a red noticeably better. Flavors are enhanced and the bouquet is suddenly very present. It is probably one of the best devices you can purchase if you're a wine lover, and it's a treat to bring out and show off to your friends, a guaranteed conversation starter and 'ooh and ahh' inducer. Best yet, when you're done with your Vinturi Essentials Red Wine Aerator, just toss it in the dishwasher. It's acrylic and dishwasher safe, so no fancy cleaning tools are necessary.